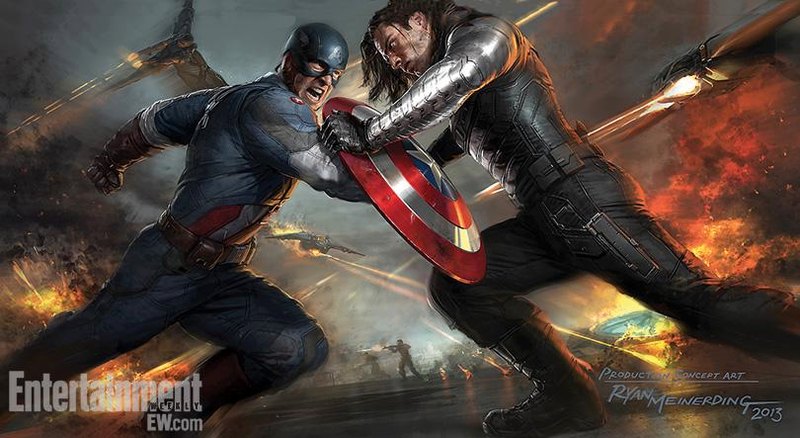 Captain America: The Winter Soldier Concept Art. 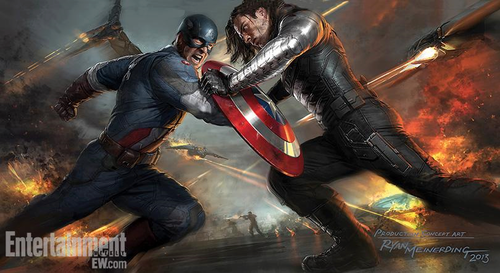 Captain America vs The Winter Soldier. Wallpaper and background images in the The Avengers club tagged: marvel cinematic universe captain america: the winter soldier concept art captain america the winter soldier falcon. This The Avengers photo contains kifuani, uangalizi, egis, hicho kifuko cha kifuani, egida, silaha sahani, silaha mchovyo, sahani silaha, sahani ya silaha, and silaha ya sahani. There might also be fauld, hip boot, thigh boot, dirii, and brigandine.